Bolsover District Council has appointed Robert Woodhead Limited to undertake the repair and restoration of New Bolsover Model Village. The £10million project will be delivered by Woodhead Improve with support from their specialist heritage team Woodhead Heritage and work is due to start in September 2016. Over the course of the two and half year contract Woodhead Improve will carry out essential repairs and restore architectural features including windows and doors at the 194 Grade II listed properties. The properties will also see their original features restored such as new cast iron rain water goods and re-pointing of brickwork and chimneys. In addition all 138 Council-owned properties will receive repairs to their roofs and internal thermal insulation. As part of the scheme training and work experience opportunities will also be available to local young people, with up to eight apprenticeships on offer, 10 positions for local trades people, a Tenant Liaison Officer and Admin Officer. 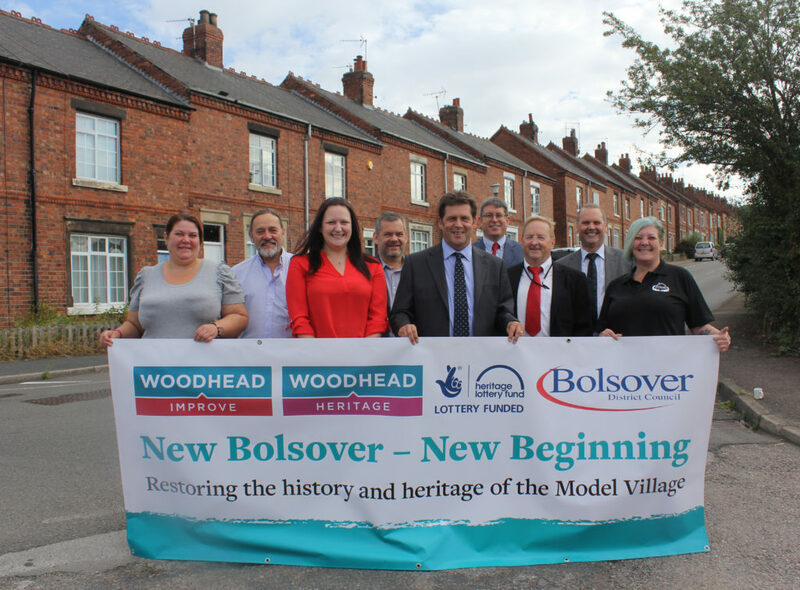 Bolsover District Council’s Cabinet Member for Housing, Councillor John Ritchie said, “We are delighted to be working in partnership with Robert Woodhead on this exciting project that will see the repair and restoration of this important historical village. “Ever since we received the funding to regenerate New Bolsover Model Village we have been chomping at the bit to get started and at last we will now be able to transform this area for the benefit of the local community. An exciting programme of activities in conjunction with the Friends of New Bolsover community group, designed to engage the community and create a better understanding of local heritage will also be staged throughout the life of the project. The contractor was appointed through a new framework (sustainable refurbishment of historic buildings) which has been procured by EEM Ltd on the Council’s behalf. The project has been funded by approximately £8million from Bolsover District Council’s Housing Revenue Account, £1.9 million from the heritage Lottery Fund and £40k from Derbyshire County Council. It is also being supported by Community Voluntary Partners, Derbyshire County Council Public Health, Community Regeneration Trust and Friends of New Bolsover.